We can install, repair, and rekey deadbolts on any residential door. Don’t wait until you’re desperate to try to find a reliable locksmith for your home locksmith needs. Keep Black Hawk Lock & Key on speed dial for the ultimate in peace of mind. We provide a full array of home locksmith services, from opening your front door when you’ve locked yourself out, to rekeying the locks on a home you’ve just moved into, to installing smart locks that you can control with your smartphone. To ensure the safety of your home and family, call us first. We can help you by changing your locks, ensuring that only your household can gain entry into your home, as well as discussing the latest in security solutions for added peace of mind. Are you a landlord who is preparing your unit for a new tenant? Changing locks between tenants is essential for protecting your investment while controlling who has access to the unit. Our locksmiths are experienced in selling and installing high-quality locks to give you and your tenants optimal security. Finding yourself locked out of your home can be frustrating and scary, and it always seems to happen at the worst times. 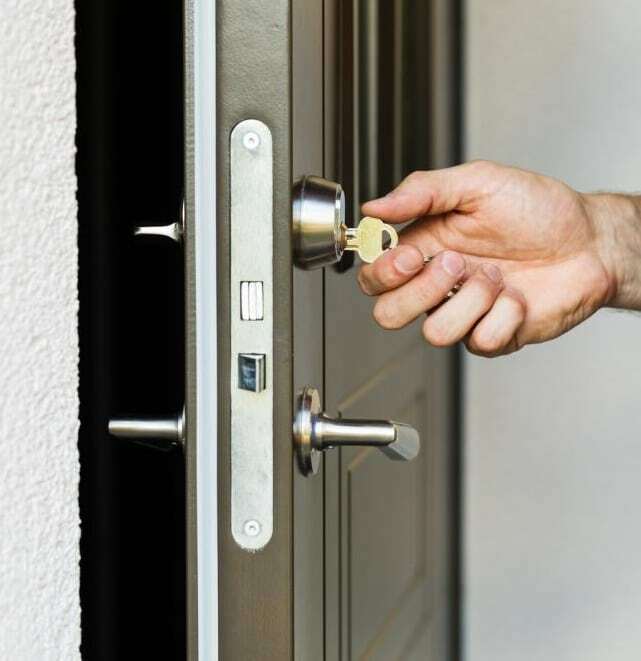 We’re a mobile locksmith service that also provides 24-hour emergency service, so no matter the time of day or night we can come out to your home, pick your door lock, and get you back inside quickly. We can also make duplicates of your house keys for you right on the spot in our fully-outfitted truck. We also specialize in unlocking deadbolts and mailbox locks, providing convenience and peace of mind for homeowners and property managers. Not all locksmiths are equal, and choosing a disreputable discount locksmith can end up costing you hundreds of dollars in the end. At Black Hawk Lock & Key, we are certified by 1800-Unlocks and are listed on the Fair Trade Locksmith Directory, meaning we have undergone an extensive vetting and reviewing process that ensures quality and professionalism. We are bonded, licensed, and insured, giving you peace of mind no matter how complicated the job. If you need fast help with a lockout or you want to talk about the latest in security technology, contact Black Hawk Lock & Key today.